This small note is my dedication to all the ladies out there, who are broken and who have lost all hope in life. Don’t worry, you don’t need to be afraid if your friend left you, or your boyfriend ditched you, or if you were lied and deceived! 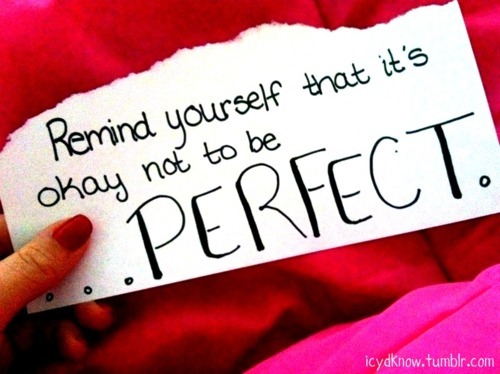 You are ‘not’ perfect, nobody is. Everybody makes mistakes, so what if you also had some bad days? You should instead try to understand the power of ‘yourself’. You are the one, who deserves much more than what you were previously happy with. If something has happened, it has happened for a reason and if you’re going through a bad phase, happiness doesn’t lies much far away. You just need to focus on your life, make everyday of your life worth living, instead of crying and abusing the past. Do you realize how much time you’re wasting by crying over someone who doesn’t care for you? Now, imagine you didn’t waste all that time, and you spent that time in doing some work, completing some project and inventing something new, some new dish in kitchen, or some new design for clothes or some milestone in business, anything in your field of interest. You’ll be much ahead than where you lay now. You’ll be much happier than what you are now. So, do not waste even a single tear. Just make a promise to yourself, that from this second on-wards, I’ll work for myself, I’ll focus on my own life, I’ll think about myself before anyone else, and I’ll change my life. I’ll make it better and worth living, instead of making it a living hell. I’ll become the woman, that every man needs, instead of being a woman who needs a man in her life. I am much more than I think. I can live without a MAN, yes, I have that power to live a happy, single, independent life! Instead of being with a man who doesn’t care for me, and getting ignored and disrespected every moment, it’s better that I live alone and make my life, make my future and work for myself! Because, lastly, we are women, and women are not less than anybody! Thank you so much for your kind words of appreciation 🙂 I’m sure you will like my upcoming story – Medical Romance too. Take Care and Happy Reading!